If your child is 3 or 4 years old then they are entitled to a free, part time, nursery education place before they start primary school. Nursery education can be fun for 3 & 4 year olds - they will be learning and playing with friends and looked after by skilled staff. Research shows that a child's development benefits from attending nursery education sessions. Your child will be entitled to a free place from the school term after their 3rd birthday. Your child is entitled to 570 hours per year (commonly taken as 15 hours per week over 38 weeks per year). Childcare Providers are allowed to offer a maximum of 10 hours of free early years provision a day, between the hours of 6am and 8pm. Parents can choose to access the free 15 hours only, or as part of a larger package of care. Buying additional hours with a childcare provider or buying meals cannot be a condition of your child accessing a place. 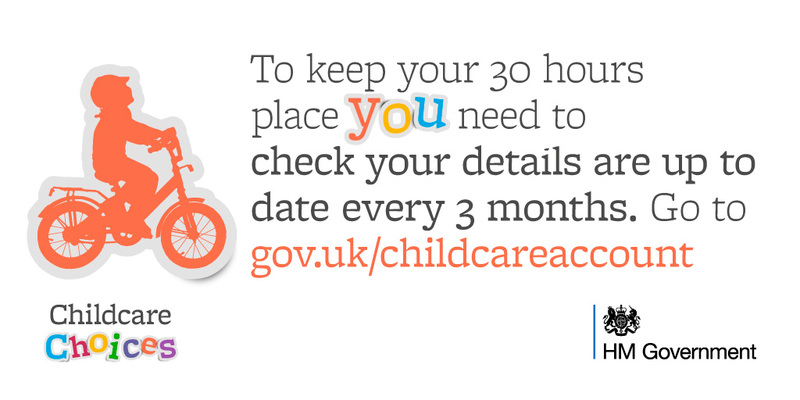 Each Childcare Provider will be able to offer their free sessions with some flexibility to suit your needs, but these sessions will always be between 6am and 8pm. Please note - the length and times of the free sessions will be determined by the Childcare Provider. Childcare Providers will charge parents at their own rate for additional hours accessed outside of the free sessions. Parents can choose to divide the free entitlement of 15 hours between a maximum of 2 sites in a single day. You will need to make clear to each provider how many hours you are accessing with each of them. Places are available in most Primary and Nursery Schools, Day Nurseries, Pre-School Playgroups and some Childminders in Nottingham City. Please contact the Families Information Service for a list of childcare providers around your address. In order to access the free entitlement, you must contact your selected provider who will enrol your child for the number of funded hours you require. Your provider will claim the funded hours on your behalf from Nottingham City Council. This will be reflected in your invoice which clearly shows no charge for the free 15 hours. Your only requirement is to sign a parent declaration form that your provider will give you. This confirms the number of funded hours that you are taking up with that provider. Please note that as a parent you can choose to continue to take up your child’s free place at a private, voluntary or independent childcare provider until your child reaches compulsory school age if you choose not to take up your child’s right to a place in a state funded school reception class in the September following your child’s fourth birthday. A place in a school nursery does not guarantee admission to the school and parents must apply for a place at the school if you want your child to transfer to the reception class.